“Hey, be careful on the backside of Wildcat!” the woman yelled over her shoulder. 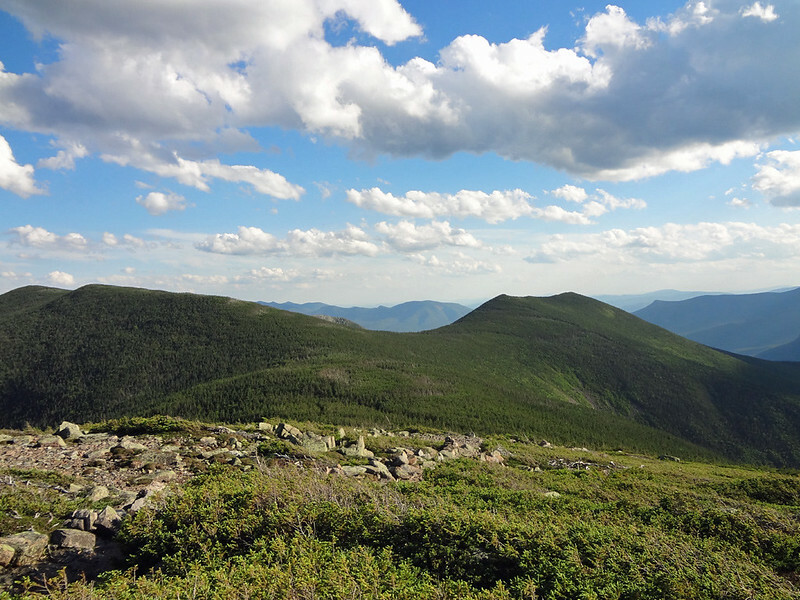 We’d met while hiking in opposite directions on the Appalachian Trail in New Hampshire near the Hexacuba Shelter, and had spent a few minutes trading valuable trail intel. “It’s real steep,” she added, before disappearing around the bend. 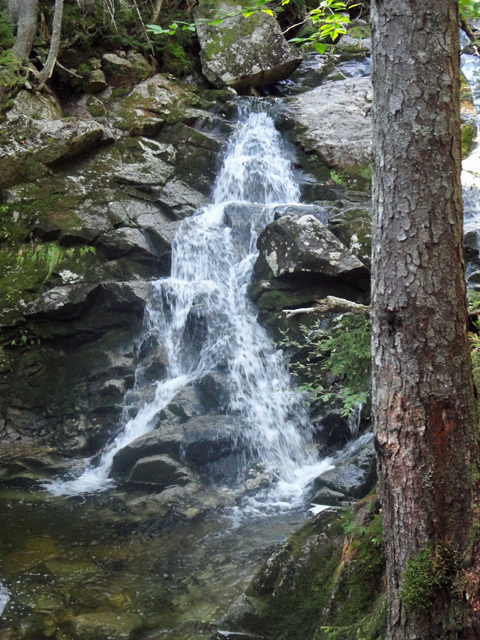 It took me two years in my piecemeal New Hampshire section hike to reach Wildcat Mountain. This gave me plenty of time to ponder the woman’s advice. 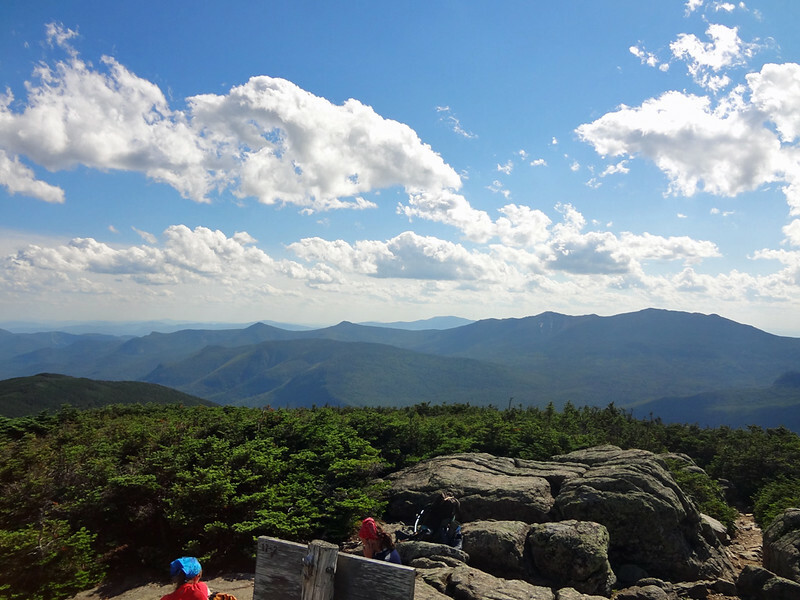 She’d just completed Maine, widely regarded as the most difficult state on the Appalachian Trail, along with the Presidential Range and Franconia Ridge, and Wildcat was the mountain she was warning me about? How steep was steep? And which side was the backside? Little did I know in all this time that the frontside versus backside question was going to be the least of my worries. 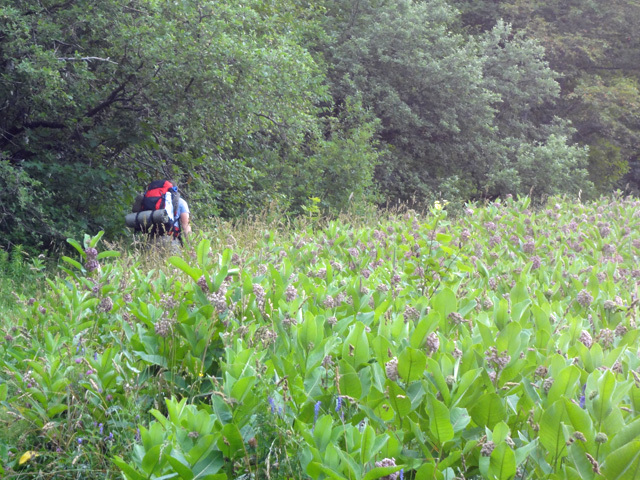 You see, this is a story of self-inflicted peril, of what NOT to do on the Appalachian Trail. It has taken me two years to write this, which I’d like to conveniently pass off to life’s many priorities, but if I’m being completely honest, there’s a good deal of embarrassment here too. 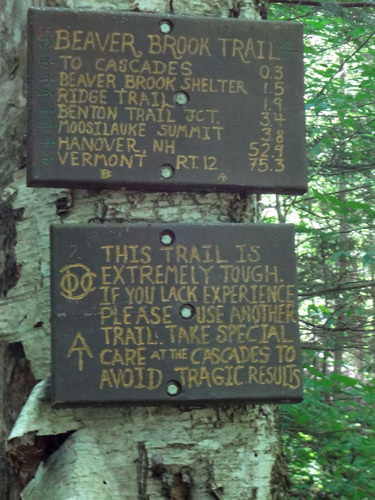 There’s also a responsibility to share, because this is something all hikers should read. New Englanders probably remember the 2013 Memorial Day weekend because it was a complete washout. The high peaks even saw snow on Saturday night. This was the weekend I planned to tackle the 21.1 rugged miles of the Carter-Moriah Range featuring seven major peaks over 4,000 feet. “There’s a flood watch in effect,” my wife said two nights prior, her way of trying to talk me out of the hike. “I’m going to be in the mountains,” was my flip response, “if anything I need to worry about landslides.” Though I’d never previously hiked this portion of the Appalachian Trail, I grew up thirty minutes away, had hiked all of the Maine AT, and by this point most of New Hampshire’s share. I’d also racked up many rain-soaked miles. I “knew” what I was getting myself into. Or so I thought. The bog crossing at the beginning of the Lost Pond Trail along the Appalachian Trail. My son and I stayed at my parents house the night before the hike. That morning my father dropped me off at Pinkham Notch after I left my car in the Rattle River Trail parking lot in Gorham. There was a break in the rain when I struck out on the Lost Pond Trail with the enthusiasm of an Appalachian Trail adventure begun anew. Light on my feet I glided across bog planks and weaved around boulders. All was good. Expediency was the name of the game on this morning. 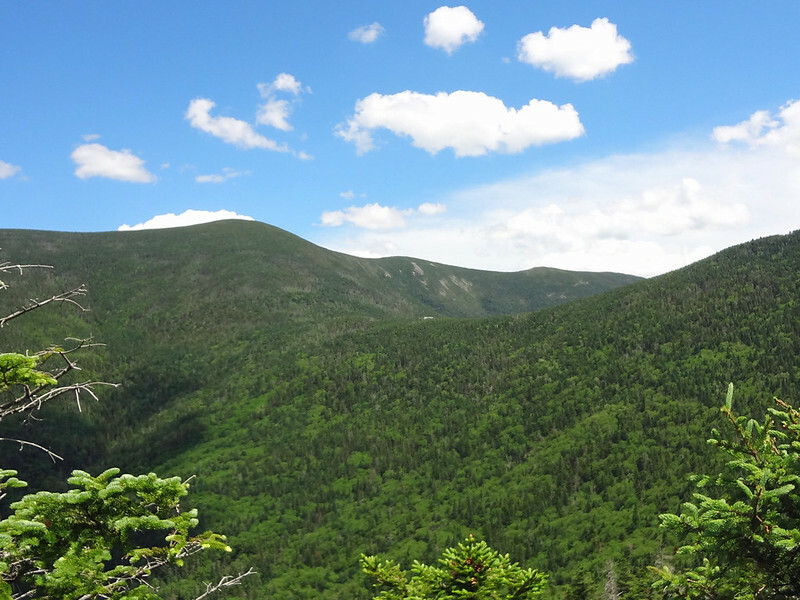 Being fleet of foot was a necessity in order to best the 13 demanding miles between Pinkham Notch and the Imp Shelter. This meant skipping popular side-trail attractions such as Glen Ellis Falls, minimizing breaks, and eating on the move. I was so focused on getting to the Imp Shelter before nightfall that I didn’t notice my Spot satellite messenger had stopped transmitting my location. Nor did I bother to turn on my phone. While my wife has come to accept this as my normal trail mode of operation, it was all new to my parents. What began with them checking the Spot website to show my son, turned to mild concern over my apparent lack of progress and grew into outright anxiety as the hours passed. 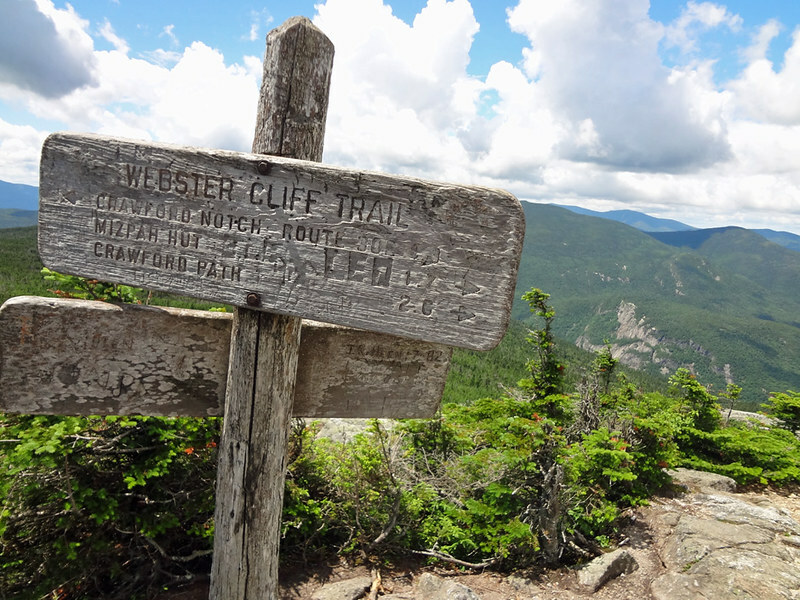 Steep and rocky, the northbound ascent of Wildcat Mountain might as well be the poster child for the Appalachian Trail in northern New England. The cloud ceiling continued to lower as I got higher, making this view of Pinkham Notch from Sarge’s Crag the best view I received all weekend. The thickening cloud cover may also have been the reason my Spot stopped transmitting. Meanwhile, I was ignorant of my parents’ growing concerns, and it was bliss. 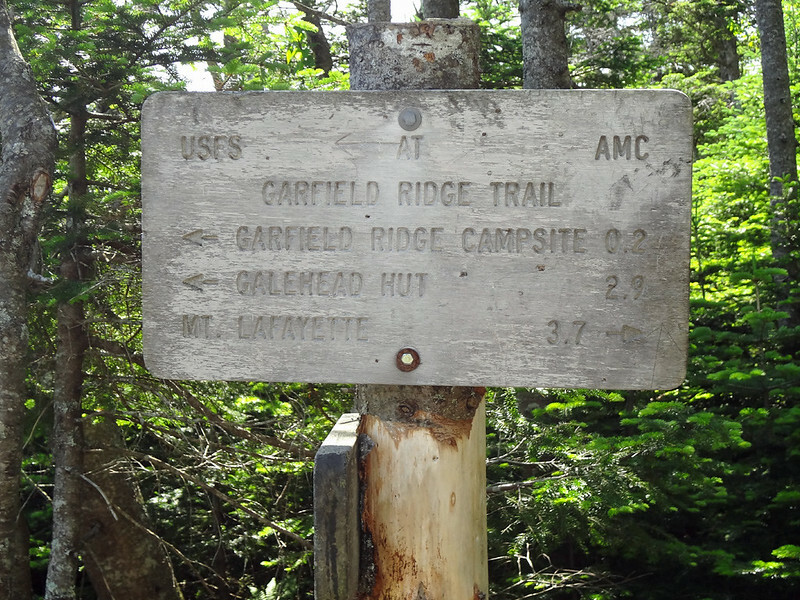 After the first mile of easy hiking, the Appalachian Trail turned onto the Wildcat Ridge Trail, and any lingering question as to whether the northbound ascent of Wildcat was the “backside” I’d been warned about was quickly erased. 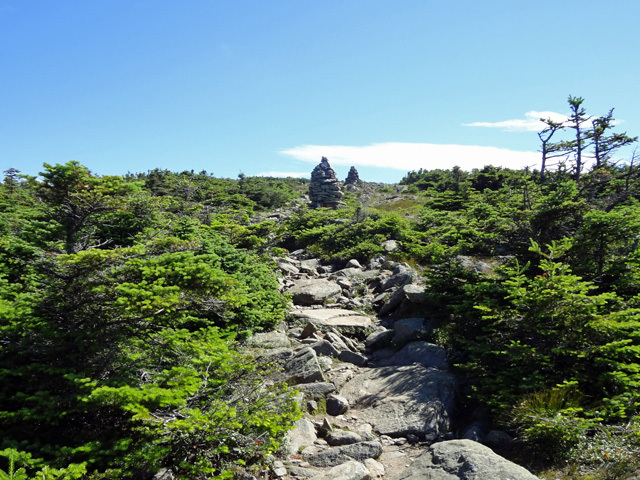 The climb began with steep rock staircases that became boulders leading to open ledges. Switchbacks? Only in my dreams. I was fortunate to get over the ledges before the rain picked up. It was easy to see how this part of the trail would become down-right hazardous in inclement weather. Having made it safely over the “backside of Wildcat,” the ease at which I traversed the subsequent up and downs of Wildcat’s five sub-peaks, known as the kittens, furthered the feeling that I was out of harm’s way. The worst I had left, it seemed, was a little trail flooding. Along the Wildcat Ridge Trail I encountered a floating plank walk. Fortunately I made it across here with only my feet getting wet. I wasn’t the only misguided soul to hit the trail that weekend. There were a few day hikers here and there, and a trail crew I met on the steep descent into Carter Notch, all of whom were hoping to escape before the heavy rain hit. The precipitation did pick up gradually as the day wore on, turning trickling springs into brooks, and every rock and gnarly root into a potential slipping hazard. My legs tired and my footwork grew sloppy as the day neared its end and the light dimmed. I was less than a mile from the Imp Shelter when I encountered another trail pond. Though my clothes were fully soaked through and my trail runners squished with each step, for some unknown reason I hadn’t reached the aw-####-it point of walking through puddles. The bank on the left side of the trail was too steep to get around the puddle, but an old fallen tree on the right side offered a bridge. Its bark was long since stripped and most of the remaining branches were nothing more than broken stubs. As I stepped upon it my foot slipped and I saw the sharp edge of a broken branch coming at my left eye. It drove my eyeball into my skull and all I could think was—I just lost my eye. I stumbled off the log into the water. Everything was spinning around me and it was suddenly getting darker. I managed myself out of the water and laid on the ground. My heart pounded and I gasped for air. Slowly, the feeling of fainting passed. I felt my face. My eye was intact, but the lid was swollen and mostly closed. The Imp Shelter just before it really started to pour. The Imp Shelter, quite literally, was a sight for one sore eye, and I was once again fortunate in that the torrential rain started soon after I arrived. Upon calling my parents to check-in on my son, I discovered they were at the point of near panic, my mother minutes from calling the authorities. While I secretly realized this would have been good had I passed out at the log, I didn’t want to encourage her, and decided this story was best left for when I returned. If ever. With the shelter all to myself—an extreme oddity for a holiday weekend—I spread my stuff out and settled in for the night. Here’s where I really messed up. One would have thought that the log episode would have served as a wakeup call, and the rain pounding on the shelter’s roof all night a warning to study the map and make alternative plans. It’s not like I didn’t know—my wife had warned me that a flash flood warning was in effect and I’d left my car at the Rattle River parking lot! And yet, the following morning I packed everything up and set out, unwavering from my plan to complete the Carter-Moriah Range portion of the Appalachian Trail. For the most part the rain had ended, save for drops that fell from the trees. The rainwater, however, was still making its mark. In many spots the trail was transformed into a surging brook, and small landslides were visible along the steep banks of Middle Moriah. This isn’t your average brook, it’s the Appalachian Trail after heavy rain. Seeing the landslides, as small as they were, was a little unnerving. For the first time I was starting to think about whether I should be there. This concern subsided as the steep terrain relaxed. Being human, my thoughts naturally progressed to playing the I-told-you-so card on my wife when I returned. And that’s when I was stopped dead in my tracks. The first Rattle River crossing. Call it karma, nearsightedness, stupidity, whatever. I knew instantly that I was looking at an upper section of the Rattle River. After all, I’d parked my car next to the river the day before, and had driven past it countless times throughout my life. I could even tell you that the river is named “rattle” because of all the loose rocks that get moved around during periods of strong flow, creating a “rattling” sound. Somehow, I’d lost sight of it all. The water didn’t look too deep, but it was flowing fast, and there was no clear footing at the trail crossing. Upstream, two trees had fallen over the river. Naked of bark (of course), the trees crisscrossed as if Mother Nature was trying to up the ante. Needless to say, after my previous eye-popping experience on the log, I was less than thrilled with this prospect. Still, the trees were my best bet. This was my best option for crossing. Before attempting the cross, I finally checked the map. It was hard to tell, but it looked like the trail might cross the river two more times. Even so, most of the remaining trail occurred on the far side of the river, so I’d be on the “right” side if I could get across. The logs, in my impeccable judgement, were worth the risk. I removed my pack, heaved it over the stream, and inched my way ever-so-carefully across the main log. The trail widened into an easy-going footpath, and all of a sudden my thoughts transformed from “can I get out” to “how fast can I get out.” I actually started running, because, you know, I’m an idiot. Perhaps it was best I didn’t mention the landslides, I figured, or the overflowing river, to my wife. Nobody really benefits from an I-told-you-so. This time I found myself in the middle of the river. Literally. In the middle of the ####### river. Two roaring branches from both sides converged, putting me on a one-man island. An overwhelming feeling of fear and anxiety swelled inside of me. How could I have gotten myself into this position? The new branch on my right was the ideal side to cross, but it flowed through a steep-banked ravine that was—at best—questionable jumping distance. If I fell inside, there was no getting out. The further up the river I walked, the more perilous this side seemed. My “only” option was to recross on the left. This wasn’t true, of course. I could have kept walking up the river until I’d exhausted all possibilities. I could have gone back to crossing the logs. Heck, my hammock and an extra day’s rations were in my pack, I could have set up camp for the night and waited for the water to recede. The river was too wide to throw my pack across here, so I unbuckled the harness. If I went down, I needed to be able to get out of the pack. I picked my spot and tested the water with my trekking poles. Before I knew it I was thigh deep, the water tugging at my legs. Each step was a fight with an uncertain finish, the rocks on bottom adding a slippery element of surprise. This is how people die hiking. If it weren’t for the trekking poles to help keep my balance, I’m certain I wouldn’t have made it. But I did. Back on the trail, I went around the next bend to discover my luck was at its end. This time crossing was not an option. Rattle River after the two branches converged. If you’ve read this far, please stick with me for the after-school-special ending. I’m really not stupid, at least in the official sense. I have the I.Q. test my psychologist (wife) gave me to prove it—never mind the fact that when she scored the results, her response was, “You did better than I thought you would.” My experience here doesn’t really help my case for the contrary. What’s most damning is that I knew better. Usually I’m the one urging people to exercise caution on the trail. Yet here I was making every possible mistake: failure to properly prepare, solo backpacking in extreme weather conditions, blindly sticking to the original plan when better alternatives existed. Yes, I made it across the river. Nine times out of ten that’s probably the case. But there’s always that once.